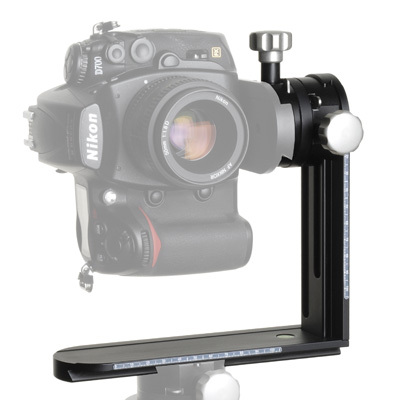 For shooting in portrait mode of the camera, Cambo delivers a separate L-Bracket CLH-520, which fits in the same quick release mount and features sliding movements left / right, up / down and accepts the sliding camera plate in order to find the exact nodal point position for each setup. Of course, millimeter scales will assist in repeating the needed positions time after time. Note: This CLH-520 is already part of the complete set CLH-500 and can be acquired as additional part to the CLH-533 Level Head Only.